Avoid anything lengthy when it comes to actionable items on the website. Registration should be fast and easy. It can be as simple as asking only for an email and password. Additional details can be captured from the order page. Often shoppers don’t want to register at all. They worry about too many accounts on too many sites and just want to purchase. 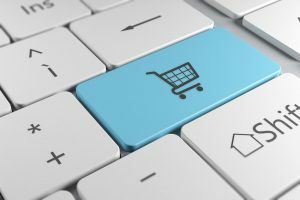 Almost any e-commerce cart will allow you to enable guest checkout. This will unlock a lot of sales especially if you see high levels of shopping cart abandonment. Suggest items that are related to the one that the customer is buying. For example: if a customer is buying a laptop, related suggestions could be a laptop bag, mouse, extra batteries or any other accessory that might be useful. If you want to succeed at running an online business, you’re going to need an online store. The online shopping cart software sold by Secure Net Shop should be at the top of your list.